Reputation speaks right to the heart of trust. With the right marketing approach, you can help build your reputation. Focus on sharing customer satisfaction. Find ways for people to share their experiences with you, better yet, encourage them to share those experiences on your website, Yelp, Google and other online forums. Reviews help build your trust by having a third-party endorsement. According to the Local Search Association, 68% of people said that positive customer reviews made them more likely to use a local business. Understanding your customer’s journey, providing great customer satisfaction and encouraging third-party reviews all add tremendous value to your online reputation. Another great way to build your reputation is show your expertise by publishing blogs. 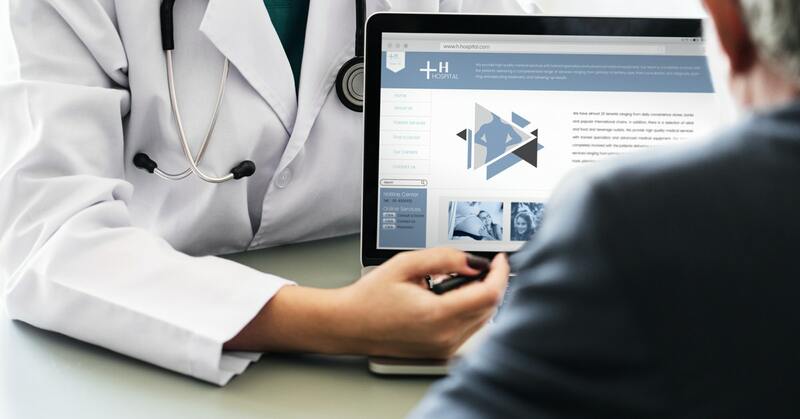 It shows your continued interest in how healthcare is evolving and helps you connect with your audience. We all want to feel heard, and when it comes to our health, our experience is deeply personal. Being able to provide an individualized experience will make a world of difference to your patrons. We’ve already discussed the importance of your online presence and the role that shared customer satisfaction can play in building your reputation. But to take your customer experience to the next level, you also need to be a responsive brand. Having a marketing response plan in place for your online audience is critical. If someone reaches out to you, they want a response within the hour. Potential customers are using all sources to get information including online chatbots, social media messaging and email. In fact, 71% of Twitter users reported wanting a response in 60 minutes or less. Having a communication guideline in place can help you or your customer service team be prepared to respond to people quickly. When it comes to healthcare, if we’re providing an individualized experience, then one size will NOT fit all. You wouldn’t expect to hear from your pediatrician the same way you’d hear from your podiatrist, would you? It’s important to understand your audience, and one of the best ways to do that is to create audience personas. Who are they? Where are they? What are their fears, their concerns? How old are they? How do they want to receive information? This is just scratching the surface of better understanding your audience. Taking a tailored approach based on your personas will help you better connect with your audience to build trust and show that your brand truly understands their needs. Perhaps just as important as the patient experience, by using a dialed-in, targeted approach there's a new found return on your marketing investment. Why spend marketing dollars boosting messages to a broad audience in hopes of reeling in a fraction of interested patients? To that end, you might be reaching a mass that doesn't even need your service. There's no doubt you'll see a shift in ROI by using persona research to reach the right audience for your brand. The healthcare landscape changes about as often as the marketing landscape. To remain an expert in your field, continue to find ways to stay educated. Find a network of peers, subscribe to an email newsletter and get the information you need to stay ahead of the curve. You want to make sure you are up-to-date on changing policies, compliance regulations, technology, research, best practices and, of course, marketing your brand.